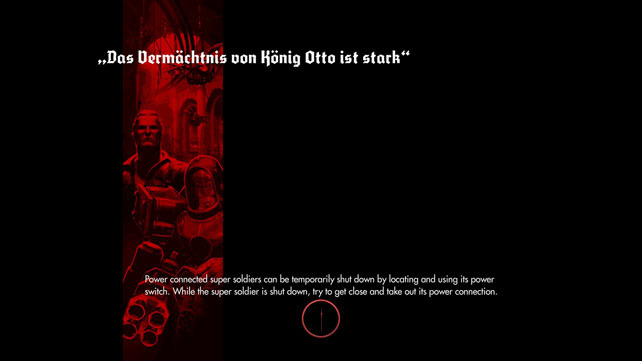 Last year we translated the loading screen messages from Wolfenstein: The New Order, and one year later with the release of Wolfenstein: The Old Blood we’re doing the same for that. 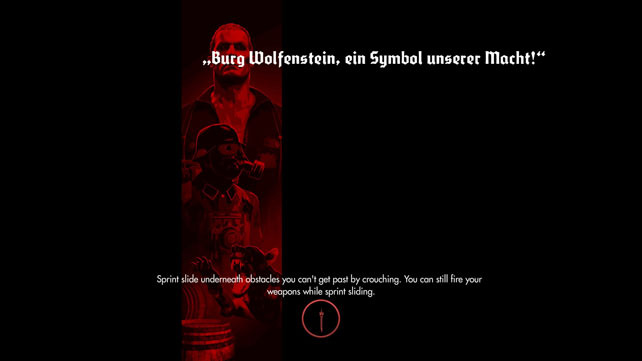 Each time you load up your game, or reload after dying, you’ll be treated to some propaganda messages from the alternate universe – but what do they mean? We’ve consulted our trusty friend, Herr Google, and he’s told us what they are (and takes no responsibility for being slightly wrong!). Archeology and science are the new beginning. 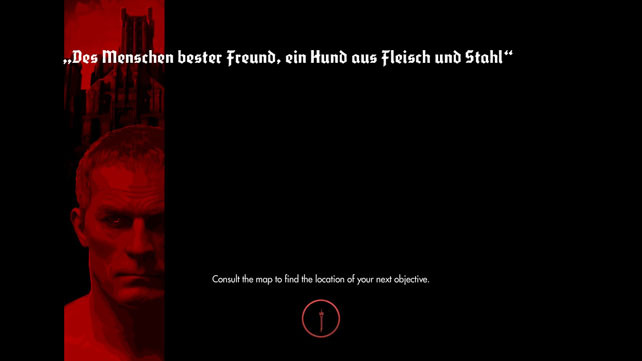 Burg Wolfenstein, ein Symbol unserer Macht! 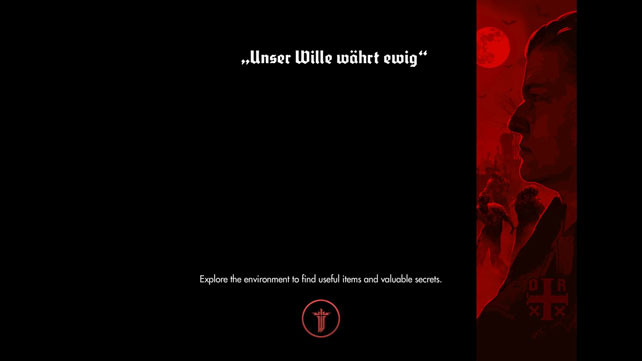 Castle Wolfenstein – a symbol of our power! 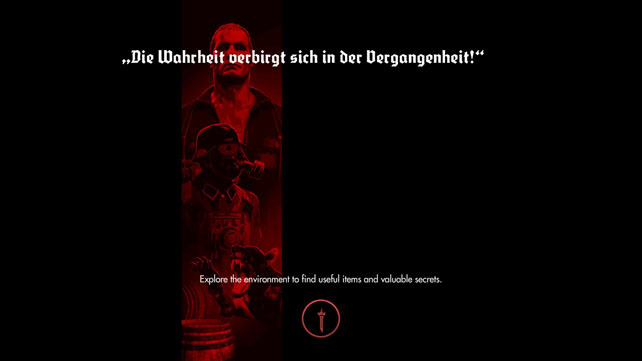 Burg Wolfenstein ist auf unzerstorbarem alten Fels gebaut! 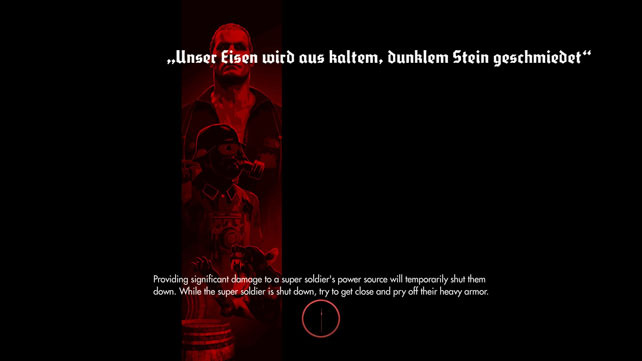 Castle Wolfenstein is built on indestructible ancient rock! 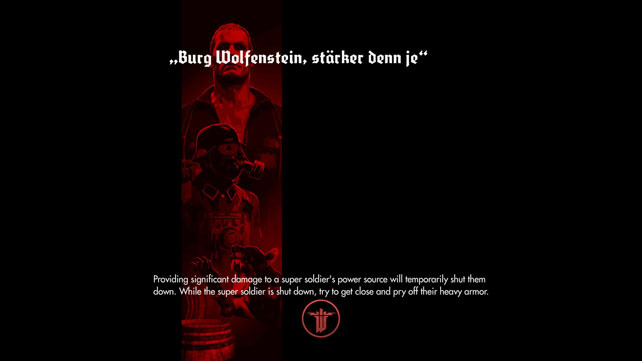 Castle Wolfenstein – stronger than ever. The legacy of King Otto is strong. 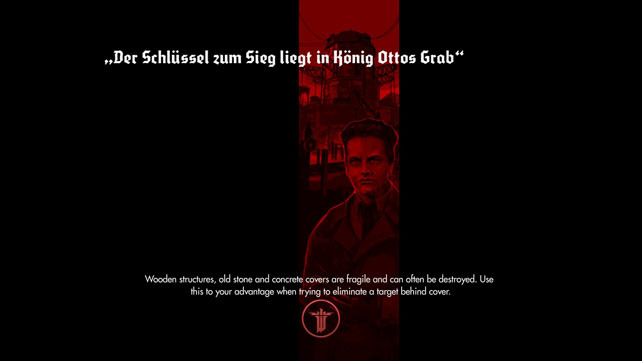 The key to victory lies in King Otto’s grave. Man’s best friend – a dog of flesh and steel. 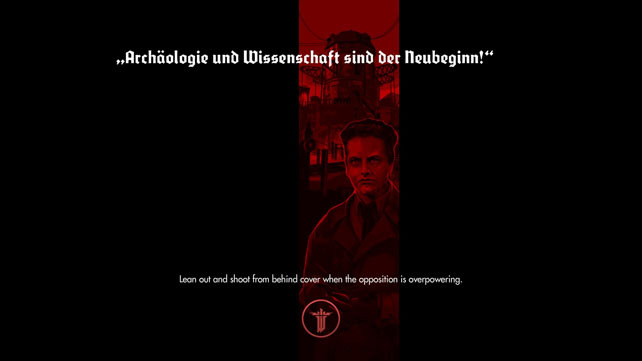 Die Wahrheit verbirgt sich in der Vergangenheit! The truth is hidden in the past! Our iron is forged from cold, dark stone. 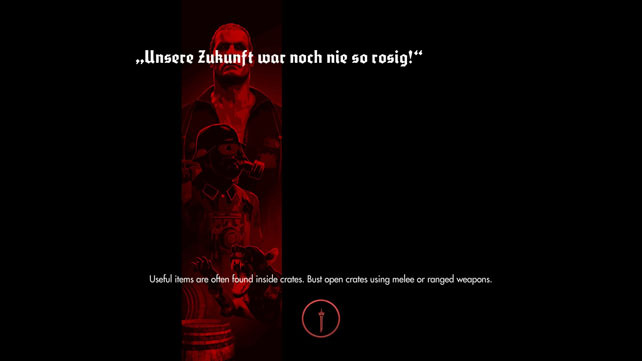 Unsere Zunkunft war noch nie so rosig! Our future has never been so rosy! 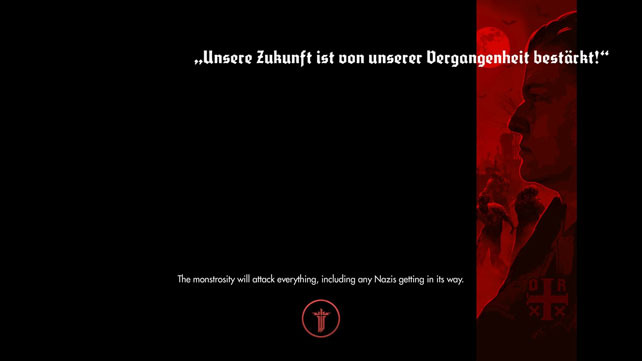 Unsere Zunkuft ist von unserer Vergangenheit bestarkt! We’re sure that we’ve missed some during the game, so if you find some more then hit us up in the comments below and we’ll add them here. Same goes if we’ve not got the nuances of the translations right! 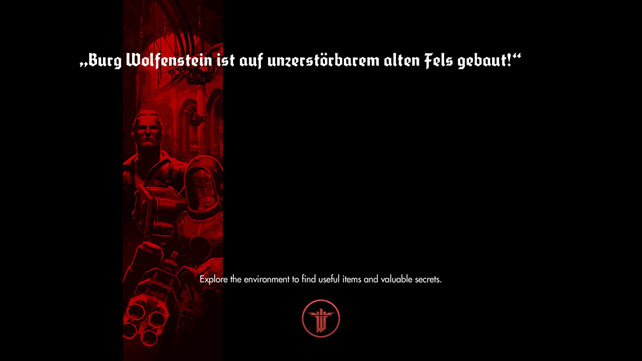 Our review of Wolfenstein: The Old Blood can be found here.